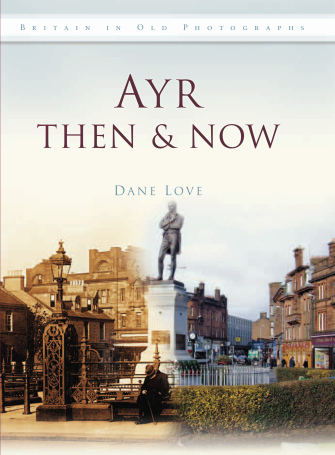 Ayr Then and Now is available to buy from the author's online Bookshop. Ayr Then & Now takes a fond look at the Royal Burgh of Ayr over the past decades, contrasting a fascinating selection of archive photographs and postcards alongside modern photography of Ayr as it is today. From the early exploits of Sir William Wallace, through Ayr’s connection to the life of Robert Burns, to more recent buildings and notable events, this is a wide-ranging look at the town, past and present. Captivatingly illustrating the changes that have taken place over the past century, Ayr Then & Now will be treasured by all those who love ‘Auld Ayr’.